Comment: Had damage to gutters when tree fell on house last week. Also have fascia that needs to be replaced above garage. Comment: Replace about 15 feet of gutter with lots of turns and down spout. I would like a quote. Valley Park Gutter Cleaning & Repair Services are rated 4.74 out of 5 based on 425 reviews of 21 pros. 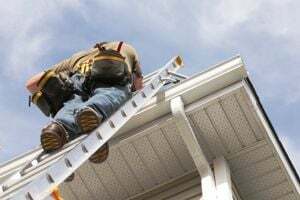 Not Looking for Gutters Contractors in Valley Park, MO?